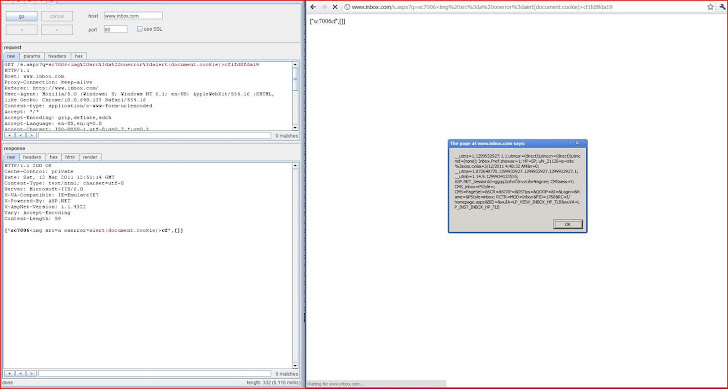 Inbox.com Cross Site Scripting (XSS) vulnerability ! to execute within the user's browser in the context of that user's session with the application. token or login credentials, performing arbitrary actions on the victim's behalf, and logging their keystrokes. to the vulnerable application (using either the GET or the POST method).